How many of you are on a journey of weight loss and toning your body after having a baby? If you read my blog you know that I am on that journey (and will always be) and I love looking to other women who have accomplished great goals to motivate me. I hear so many times from women that there is no hope to seeing themselves with a flat tummy or especially a tummy with rock hard abs after pregnancy. Is it possible to achieve that after having a baby? What about more than one baby? Well let's look at this wonderful example above! This is Jena Moore. I know her from high school and she still lives in the Elkhart area. She is a mom of 2 and I believe her second baby is just over a year old. She is not an olympic athlete but she works hard! Jena leads a high school girls dance team (I believe) and exercises several days a week. She gave me permission to share this picture and a few things about how she got to this point. So be INSPIRED that a fellow mom is achieving her goals and let it motivate you to put the time in yourself to see the benefits! #1 Time. Jena said it took her a good year to get this progress. Here's the things she does to get her body in this condition. #3 She does 30 minutes of core exercises 4 times a week on top of her regular workouts. 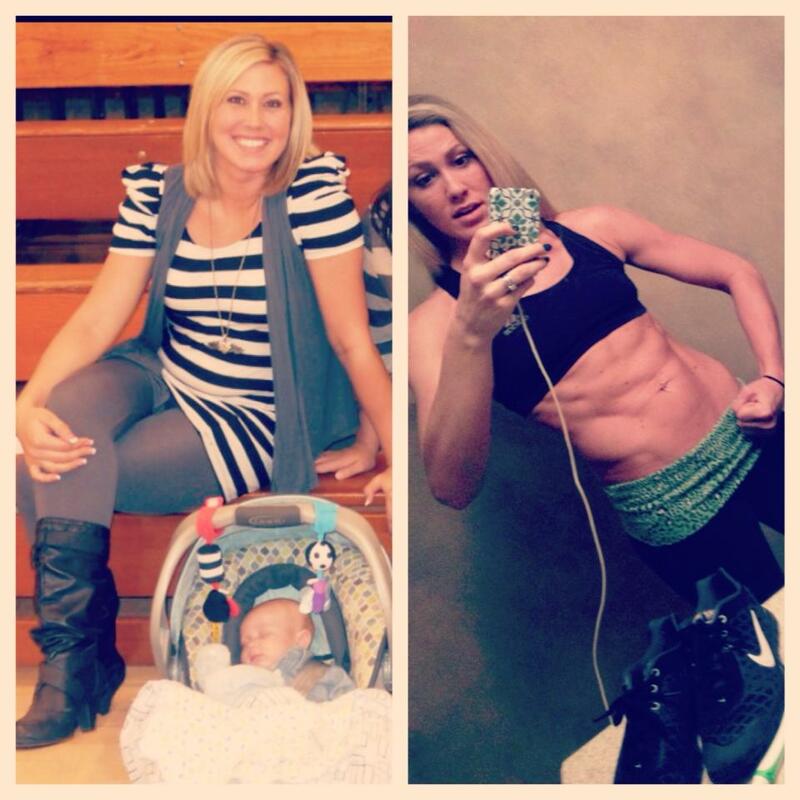 Let Jena be inspiration for you in your journey with weight loss and know that transforming your stomach is possible after you've had kids! Thanks for letting me share, Jena!